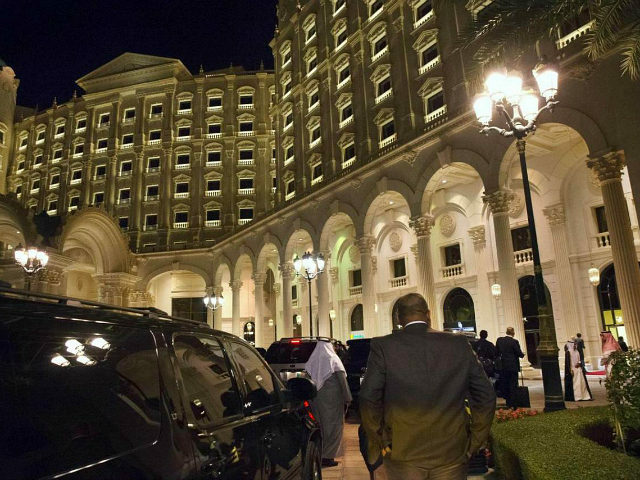 Saudi authorities announced on Tuesday that all detainees held at the Riyadh Ritz-Carlton in the anti-corruption crackdown have been released. Some detainees charged with more serious crimes have been moved to regular prison facilities. According to the Saudi Attorney General, a total of 56 suspects are still in custody out of 381 originally detained. Many of the detainees reached huge financial settlements with the government to obtain their freedom, adding up to about $107 billion in assets. Some sources say the total could be over $124 billion. The release of the highest-profile remaining detainee, Prince Alwaleed bin Talal, over the weekend was taken as a sign that the Ritz-Carlton’s days as an improvised prison were coming to an end. Prince Alwaleed might not be entirely out of the woods yet. At the time of his release, he portrayed himself as more of a consultant on the corruption case than a suspect and suggested he was staying at the Ritz-Carlton voluntarily, but a “source close to the Saudi royal family” told the UK Daily Mail that Alwaleed is still under house arrest and has been banned from leaving the country. Fox News notes that Alwaleed was one of 11 princes detained in the probe. Two of them were sons of the late King Abdullah. One theory of the anti-corruption crackdown sees it as an effort by Crown Prince Mohammed bin Salman (MBS) to consolidate power. One of Crown Prince MBS’s top goals has been making Saudi Arabia look more stable and attractive to investors, as the great sale of stock in the national oil company Aramco looms, and MBS plans to use the proceeds to diversify the Saudi economy. In the short term, Australia’s ABC News notes that international financiers are nervous about the secrecy surrounding the crackdown and its possible implications for major business operations, such as Prince Alwaleed’s vast holdings, while the Saudi public seems generally supportive, especially since the government has said it will use some of the proceeds from anti-corruption seizures to finance social spending. One financier optimistically told ABC News that MBS’s approach might prove more “effective” at reforming the Saudi system over the long run.